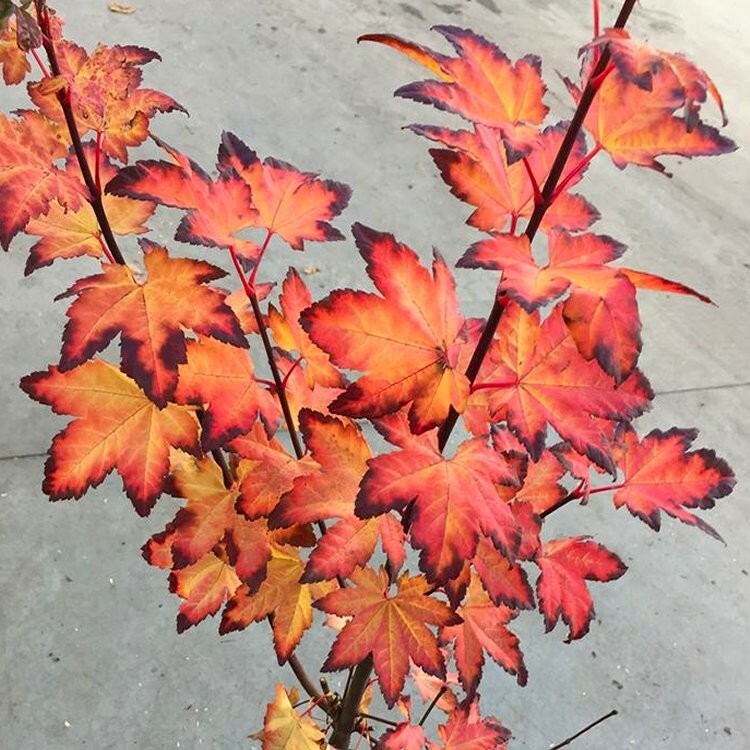 Burgundy Jewel is a beautiful form of vine leaf Acer with relatively large leaves compared to the palmatum varieties. The foliage emerges in spring as an orange-red colour before quickly transitioning to burgundy-purple-red shades. 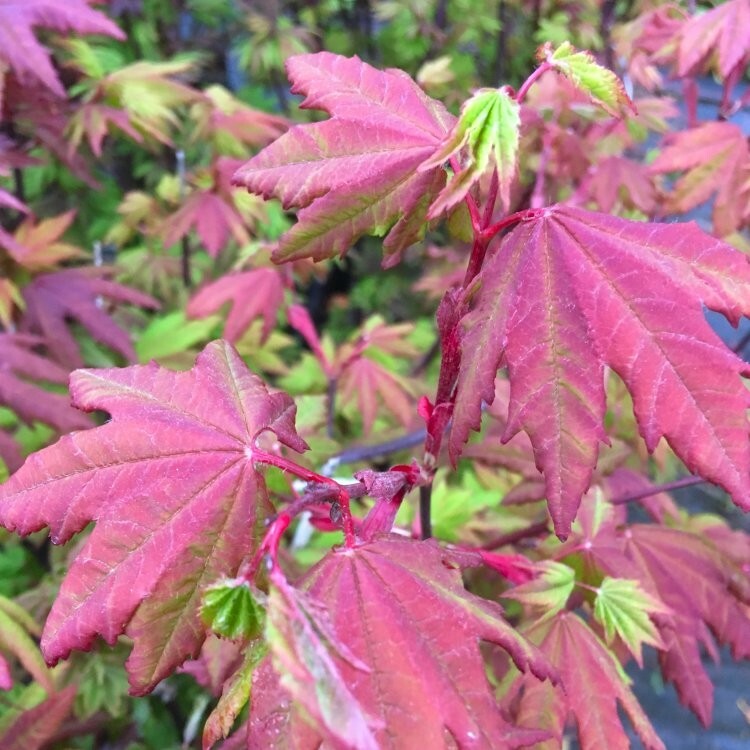 For the best foliage colour grow in full sun, as in a shadier spot foliage will fade off to green. In autumn, a spectacular colour change occurs, with foliage changing to bright fiery shades, yellow though orange and red. Compact and bushy upright growth makes Burgundy Jewel an ideal small garden tree. Over time, it can make a magnificent multi-stems specimen. Supplied in approx 3 litre containers.